Well, this is certainly an ambitious decision, isn’t it? Forming in 1990 and remaining active ever since, In Flames have released 11 full length albums, most recently last year’s Siren Charms. There’s no shortage of material to work with for a Top 10 list. They were one of the pioneers of the Gothenburg death metal scene and have become one of the most recognizable bands both inside the metal community and out. A quarter century has seen a seen a stylistic evolution that has taken them far from their origins. Naturally, fans and followers have come and gone over the years as they’ve distanced themselves from the death metal that defined their beginnings. I, personally, have seen and heard all of it. There is no comparing A Sense of Purpose with, say, Colony. It’s simply different music. Many traditionalists will shake their heads at the latter half of the In Flames discography—including myself to an extent, as there is not a single song in my Top 10 written post-2000. Don’t get me wrong, plenty good has been written in the past decade and a half that I go back to frequently. But to pick my 10 best songs by In Flames ever, I had to take the opportunity to go a bit further back in time. Starting off, we have the title-track from their second full length. Notably, this was the first album to feature Anders Fridén on vocals and also the first appearance of the band’s “Jester Head” mascot; basically, it’s the album where In Flames defined themselves. The melodic opening sliding into the harsh guitar leads and vocals is a structure not unfamiliar with In Flames, but they do it really well here. It’s a galloping cadence that you cannot avoid tapping your foot to. Is there a person out there that doesn’t think highly of this album? It was a career-defining release for In Flames, and it couldn’t have opened better than with “Bullet Ride”. The way the track slides from the more acoustic, drawn out verses into the powerfully passionate choruses is absolutely perfect. Clayman is themed heavily around depression and internal struggle, and it couldn’t have kicked off better. The third In Flames album is, without a doubt, my favorite. It’s the first concept album in their discography, and it covers a hypothetical timeline of our world. It can be extremely difficult to pick apart individual tracks from Whoracle. That said, “Gyroscope” features another classic acoustic introduction to a barrage of harsh guitar leads. Possibly the most straightforward track on Whoracle, “Gyroscope” is short, sweet, and to the point. With a title like this, how could I not include this song? The closing track to The Jester Race shows some heavy pace and lead guitar creativity before everything takes a step back into an awesome breakdown/interlude. It’s a really well structured song, and the mother’s scream right at the end? Yeah, it’s kind of terrifying. I don’t The Jester Race could have ended on a better note. When you take the time to delve into the lyrics of Clayman, you begin to realize how emotional this album is. It really feels like you are entering another person’s mind and emotions. I don’t think this comes through any better than on “Satellites and Astronauts.” It was a softer side of In Flames at the time, with a melodic element that created an extremely somber environment for its listener. Whoracle‘s eighth track just might be the most impressive. Taking a more progressive approach to the design of “Worlds Within The Margin,” we’re given a spoken introduction under the guitar leads. Those same leads all but disappear during the early lines of the verses, allowing us to fully focus on Anders’ words, highlighted by a pronounced keyboard element. How are we just now touching on Colony? 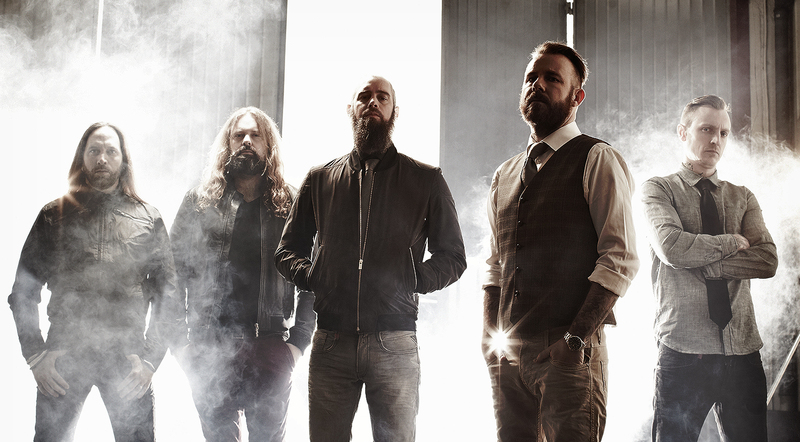 In Flames’ fourth studio release is altogether tighter and faster than Whoracle. It was also the first album to feature the band’s classic line-up (Fridén, Jesper Strömblad, Björn Gelotte, Peter Iwers and Daniel Svensson). With an album themed around spirituality and various flaws in humanity, “Ordinary Story” points directly to mankind’s lack of morality in sharp, bitter words and tones. Black Ash Inheritance was an EP released in 1997 as a means of previewing Whoracle, although these songs were later found on a reissue of The Jester Race. This first track is immediately captivating with its melodic, echoing guitar introduction, and continues with more pace than much of its full length successor. As such, I find it to be an under-appreciated release due to it’s long-time limited availability. This song was originally the first track on the first In Flames album, 1994’s Lunar Strain, but was then re-recorded for Colony half a decade later. I appreciate Lunar Strain as much as anyone, but if you honestly think the original recording of “Behind Space” is better, you’re just being elitist for the sake of it. The recording on Colony is cleaner, more developed, and so much more powerful. It’s an In Flames classic. And we’ll close things off with my favorite song from my favorite album. With a lyrical focus on technological advancement in a perfected society, we are given a musical feeling to match. It’s a rather atmospheric approach to melodic death metal, helping In Flames create the precise environment they go for lyrically. One thing I have always appreciated about In Flames is their ability to create a unique personality behind each album, and they do it the best on Whoracle, with “Jester Script Transfigured” as a prime example. That’ll do it for me. In Flames is a band you could spend years discussing and revisiting because of all they have done (good and bad). But when you break it down, their early years featured some of the best death metal ever written. It’s hard to not focus on that when talking about In Flames’ best work.